When it comes to providing high quality work, every contractor knows the value of investing in the best 18v cordless drill that they can find. Having a cordless tool is important when it comes to making wise investments. These tools allow you to move freely about your workspace without any constraints or limitations. You’ll be able to reach tight areas with relatively little difficulty or resistance and also be able to move about without being dependent on an electrical outlet. If you are after the top corded drills – click here. What is the Best Type of Battery for Cordless Tools? Greatest Brand 18v Drill on the Market? Top Cordless Drill for Home Use? 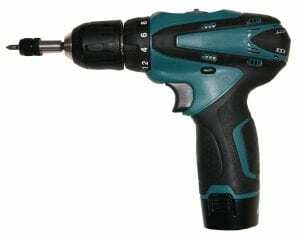 What to Look for When Buying an 18v Cordless Drill? Additionally, many electric drills come with batteries that can last through a full workday or an additional battery to keep you working even when you charge runs out. Finding the greatest 18v cordless drill can be a challenging process. However, once you find a drill that works well for you, you’ll be able to do your work at a quick and efficient pace that you never thought possible. Alternatively, head over to our top overall cordless drill review. Need to catch that right angle correctly? 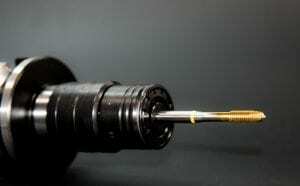 Try a right angle drill (click for review). If you want a drill that is reliable and ready to take on any heavy duty applications you encounter, the DEWALT DC970K-2 18v cordless drill is the perfect tool for you. You’ll be able to take on a wide variety of different tasks thanks to the clever design of the DEWALT DC970K-2 cordless drill. This drill will help you minimize the fatigue you normally incur while working at a job site while helping to raise your productivity. The DEWALT DC970K-2 18v cordless drill is a great example of superior craftsmanship and performance. You’ll be able to take on a number of applications thanks to the speed and power of the device. The DEWALT DC970K-2 cordless drill comes with a dual speed range and variable speed trigger. You’ll be able to work at speeds from 0 to 450 rounds per minute and 0 to 1,500 rounds per minute. In addition to being able to reach impressive speeds, the DEWALT DC970K-2 cordless drill is also capable of generating a high power output. The device boasts an energy output of 380 unit watts out. This will give you more than enough power to work with when you handle your day to day workload. Plus, the DEWALT DC970K-2 cordless drill comes with two batteries to ensure that you never run out of power. While the speed and power of the DEWALT DC970K-2 cordless drill, perhaps the most impressive feature is the compact design. The drill weighs in at only 4.7 pounds and is capable of fitting into tight and hard to reach places. You’ll be able to use this tool even in spots that other comparable drills are unable to reach. You’ll also be able to take advantage of the ½ inch keyless ratcheting chuck that makes it easier to keep an exceptionally tight grip on your bits. The DEWALT DC970K-2 cordless drill is one of the best drills that we’ve seen on the market - we highly recommend it to any contractor or home owner. See more information on DEWALT DC970K-2. The DEWALT DC970K-2 cordless drill is a powerful device that would suit any professional contractor or DIY worker that tends to take on heavy application projects. You’ll be able to take on a variety of different tasks thanks to the incredible features that were worked into the design. The DEWALT DC970K-2 cordless drill can reach speeds of up to 0 to 450 rounds per minute and 0 to 1,500 rounds per minute. It can also generate power of up to 380 unit watts out. Perhaps most important - and impressive - is the compact design that defines the DEWALT DC970K-2 cordless drill. The tool is light in weight (weighing only 4.7 pounds) and makes it easy to work in tight and confined areas unlike other comparable models. The DEWALT DC970K-2 cordless drill is one of the best investments a contractor could make - we highly recommend it. If you need a powerful tool that can be relied on to get you through your work day, the Makita XPH102 cordless drill is an excellent choice for you to invest in. The device is full of great features and is powered by a motor that will give you more than enough drive to handle any heavy application you may come across. You’ll be able to handle a range of jobs that require drilling, driving, and hammering. The Makita XPH102 cordless drill is powered by an impressive 4 pole motor that can put out up to 480 inch/lbs of torque. This will be more than enough power to work with for everyday workplace applications. The Makita XPH102 cordless drill can also reach high speeds. It has a variable two speed design and can generate speeds from 0 to 600 and 0 to 1,900 rounds per minute and 0 to 9,000 and 0 to 28,500 blows per minute. Perhaps most importantly, Makita manages to package this impressive cordless drill in a design that is easy to work with. The entire tool only weighs 3.9 pounds and is packaged in a sleek and compact design. This allows you to work for prolonged periods of time without becoming tired or fatigued. Additionally, you’ll be able to take advantage of the extreme protection technology. This technology is one of the best on the market and allows you to work in harsh job sites without having to worry about the tools exposure to dust and water. See more information on Makita XPH102. The Makita XPH102 cordless drill is one of the best power tools on the market and something that any contractor would find useful. It is capable of reaching impressive speeds and is great for doing heavy duty applications in harsh environments. The Makita XPH102 cordless drill comes with extreme protection technology that allows it to do work in harsh environments without being affected by excess dust and water. You’ll be able to work without having to worry about its exposure to the elements. The Makita XPH102 cordless drill also comes with a powerful motor. It can deliver up to 480 inch/lbs of torque and can reach speeds of up to 1,900 rounds per minute and 28,500 blows per minute. It’s a great design and one of the best investments you could make. If you need a powerful tool that you can rely on to deliver consistent results, the Genesis GCD18BK cordless drill makes for one of the best options. This tool offers power and agile operation, making it a great choice for anyone who needs to make an investment that will last and provide quality work for any homeowner looking to make a smart investment. You’ll be able to enjoy the many wonderful features that this drill has to offer. The Genesis GCD18BK cordless drill comes with a ⅜ inch keyless chuck that makes it easy to change out your bits quickly and efficiently. You’ll be able to save a considerable amount of time thanks to this handy feature. Additionally, the Genesis GCD18BK comes with a 13 piece bit set that you can use for your projects. The Genesis GCD18BK cordless drill also incorporates several handy features that will allow you to do your best work. The Genesis GCD18BK cordless drill includes an LED work lighting system that will help you continue your work even when you find yourself in a dark area or when the sun begins to set. This will help to ensure that you won’t have to compromise your control over the device by using one hand to hold a flashlight to illuminate your work area. The Genesis GCD18BK cordless drill also comes with a magnetic bit tray. This enables you to keep better track of your bits while you work. It will be easier to switch out your bits quickly with this thoughtful feature. Last but not least, the 16 position clutch settings will help you ensure that you never drill too far into your materials. You’ll be able to hit the mark every time as long as you choose the proper measurements. It’s simple and straightforward, making it one of the best tools for homeowners to invest in. See more information on Genesis GCD18BK. The Genesis GCD18BK cordless drill is a great tool for any home owner that needs a reliable tool to keep around their house. The kit comes at an extremely reasonable price and is great for simple home repairs. Additionally, it comes with a 13 piece bit set for those who don’t have any add ons or accessories to work with. It also comes with a ⅜ inch keyless chuck and magnetic bit tray to make changing out your bits an easier process. The Genesis GCD18BK cordless drill is one of the best investments for home owners who need to start investing in reliable tools. We highly recommend it. If you’re just entering the construction industry or beginning to pick up DIY work, the Black & Decker GC018SFB cordless drill is one of the best starter tools for you to invest in. The device is sleek and compact, while also offering enough power to ensure that you’ll be able to handle any task that may arise. It comes with several features that will allow you to stay on top of your workload, making it one of the best investments a new tradesman could make. The Black & Decker GC018SFB cordless drill offers several impressive features, but the best and most notable would have to be the stud finder. This device allows you to locate studs through walls measuring up to ¾ of an inch thick. You’ll be able to make your work significantly easier with this convenient feature. The Black & Decker GC018SFB cordless drill also comes with a keyless chuck. This will enable you to switch out your bits quickly and effectively instead of having to find the chuck key every time you need to change your bit size. You’ll also enjoy the benefits of the 24 position clutch. The clutch enables you to control how far your bits drill into the wall. You’ll be able to make precise and accurate pilot holes every time with this feature. Additionally, using the clutch will help you make sure that you never strip your screws. Last but not least, the Black & Decker GC018SFB cordless drill comes at an ideal weight. The device only weighs 4.7 pounds, making it ideal for work that requires several hours or more. You’ll be able to power through your work day without having to worry about becoming tired or fatigued early on. It’s one of the best investments anyone could make early on in their career. We highly recommend it. See more information on Black & Decker GCO18SFB. The Black & Decker GC018SFB cordless drill is a powerful tool that is great for those who are just starting out in their trade. The device comes with many impressive features that will help you power through your daily work. Perhaps the most notable feature of the Black & Decker GC018SFB cordless drill is the stud finder. It helps you locate studs through up to ¾ inch walls. The device also comes with a keyless chuck that makes it easy to swap out your bits quickly and effectively. Last but not least, it comes with a 24 position clutch that helps to ensure accuracy while drilling your pilot holes. As long as you remember to use the clutch, you’ll never have to worry about stripping your screws. It’s one of the best tools you can invest in – we highly recommend it. If you need a powerful tool that will allow you to work quickly and effectively, the DEWALT DC720KA cordless drill is one of the best investments you can make. The device is compact and easy to work with, making it an ideal addition to your tool kit. This also makes it easier to work with in small and confined spaces that would normally be difficult to operate in. The T handle shape also adds to this ability. In addition to the compact shape, the DEWALT DC720KA cordless drill is also easy to work with for long work days. The device is fairly light in weight, coming in at only 4.8 pounds. It makes for the ultimate tool to use on long work days. You’ll be able to minimize your tiredness and fatigue while increasing your productivity. In addition to this, you’ll be able to work extended hours thanks to the LED lighting system that was integrated into the design. This lighting system will enable you to work in crawl spaces, basements, and into the night without compromising your control over the tool. You’ll always have optimal control over the DEWALT DC720KA cordless drill. The ergonomic design makes it easy to grip and hold for extended periods of time. The variable speed control enables you to find the perfect power use for your applications with speeds ranging from 0 to 500 rounds per minute and 0 to 1,700 rounds per minute. The high performance motor will ensure that you always have enough power to work with. It is capable of producing up to 410 unit watts out of power and is extremely sturdy. You’ll also be able to appreciate the ratcheting chuck. This will give you greater control over your tool and help to prevent your bits from slipping. It’s one of the best tools you can invest in and would serve any contractor well. See more information on DEWALT DC720KA. The DEWALT DC720KA cordless drill is a powerful piece of equipment that will help you accomplish some of your best work and enables you to get your work done quickly and efficiently. You’ll be able to work swiftly while always maintaining optimum control over your tools thanks to the features of this device. The DEWALT DC720KA cordless drill can reach speeds ranging from 0 to 500 rounds per minute and 0 to 1,700 rounds per minute thanks to the powerful frameless motor. This motor is also capable of producing up to 410 unit watts out of power. Additionally, the DEWALT DC720KA cordless drill has a design that is fairly light in weight. The device comes in at only 4.8 pounds making it easy to work with for prolonged periods of time. You’ll even be able to work with the DEWALT DC720KA cordless drill late into the night hours thanks to the LED lighting system that was integrated into the design. It’s one of the best overall designs we’ve seen and would serve any contractor well. If you need a tool that can help you make the necessary updates to your home estate, the Pink Power PP182 cordless drill is one of the best investments you can make. The device comes with everything you need to stay on top of your work projects. The device comes with a comprehensive starter kit that will help you accomplish a variety of different work projects. You’ll be able to take care of any home repair or improvement projects without any issue thanks to this easy to use tool. The Pink Power PP182 cordless drill has a sleek, compact design that enables it to fit into small, tight, or otherwise confined spaces. You’ll be able to easily maneuver the device thanks to the thoughtful design and light weight. The entire machine weighs in at only 3.5 pounds - battery included. This will help you work for prolonged periods of time without feeling tired, fatigued, or otherwise overworked. The Pink Power PP182 cordless drill also comes with an LED lighting system that helps to ensure that you’ll be able to work in dark spaces or late into the night hours without having to struggle to see your work area. You’ll be able to power through any assignment thanks to the powerful motor backing the Pink Power PP182. The motor is capable of putting out anywhere from 0 to 550 rounds per minute, making it a great investment choice. It also comes with two powerful 18v batteries to ensure that you’ll always have enough power to work with. See more information on Pink Power PP182. The Pink Power PP182 cordless drill is an excellent tool for anyone who wants to invest in a powerful cordless drill to take care of their home improvement tasks. You’ll be able to get your work done quickly and effectively thanks to the powerful motor and work in tight and confined spaces thanks to the compact design of the device. Additionally, the Pink Power PP182 cordless drill only weighs about 3.5 pounds, making it easy for anyone to work with. Plus, the Pink Power PP182 cordless drill comes with two powerful 18v batteries to help ensure that you’ll be able to get your work done without having to worry about losing too much of a charge. If you need a tool you can rely on to take care of your day to day drilling needs, the Bosch DDB181-02 cordless drill is one of the best investments you can make. The device comes with several impressive features to help you accomplish your work quickly and efficiently. You’ll be able to accomplish a wide variety of tasks thanks to the impressive qualities of the Bosch DDB181-02 cordless drill. The Bosch DDB181-02 cordless drill comes in a small and compact design that makes it easy for you to work in tight and confined areas. You’ll be able to maneuver the device easily thanks to the T shaped handle and ergonomic design. Additionally, the Bosch DDB181-02 cordless drill is light in weight, making it easy to work with for prolonged periods of time. The Bosch DDB181-02 cordless drill is also able to offer a lot in terms of power. The device can produce up to 350 inch/lbs of torque, making it ideal for heavy application fastening. Additionally, the Bosch DDB181-02 cordless drill can reach speeds of up to 1,3000 rounds per minute, making it great for fast and efficient work times as well. You’ll also be able to work in dark areas, thanks to the LED lighting system that was incorporated into the device. See more information on Bosch DDB181-02. The Bosch DDB181-02 cordless drill is an impressive tool that is able to work quickly and efficiently. The device is ideal for high powered applications that require a little extra power to complete. The Bosch DDB181-02 cordless drill can generate up to 350 inch/lbs of torque. You’ll be able to work quickly to complete your projects thanks to the lightweight design and high RPM. It’s one of the best investments you can make and would serve any contractor well. If you’re looking for a powerful and reliable tool, the Hitachi DS18DGL Cordless Drill Kit is one of the best investments you can make. The Hitachi DS18DGL Cordless Drill Kit is one of the best devices available on the market for today’s consumers. It features two powerful lithium ion batteries to help make the device lighter and easier to work with. Lithium ion batteries are also better when it comes to providing longer run times. The Hitachi DS18DGL Cordless Drill Kit also comes with a powerful motor. It can generate up to 400 inch/lbs of torque and is excellent for heavy duty applications. It’s also great for working in tight or confined spaces thanks to its small and compact design. You’ll be able to work in a variety of jobsites with little to no difficulty. The Hitachi DS18DGL Cordless Drill Kit also comes with an LED lighting system that allows you to work quickly and effectively even in dark spaces or during late hours. You’ll also be able to change out your bits quickly thanks to the ½ inch keyless ratcheting chuck that comes integrated into the design. Plus, the 22+1 stage clutch makes it easy to keep optimal control over the device while you work. See more information on Hitachi DS18DGL Kit. The Hitachi DS18DGL Cordless Drill Kit is a powerful device that is great for doing work on heavy applications that require an impressive power output. The device is able to generate up to 400 inch/lbs of torque at its highest setting. Additionally, the device can provide hours of power thanks to its two 18v lithium ion batteries. And with the 22+1 stage clutch, you’ll never have to worry about losing control over the device or stripping your screws. It's one of the best overall designs we’ve seen on the market and would serve any home owner well. If you need a powerful tool that can hold up under strenuous use, the Milwaukee 2606-22 Cordless Drill is the perfect match for you. You’ll be able to use it for a large number of different applications thanks to the many features that come with it. The Milwaukee 2606-22 Cordless Drill is a powerful tool that comes from a reputable manufacturer. The device comes with an impressive motor that can generate up to 500 horsepower. You’ll be able to accomplish a wide range of tasks with this tool. The Milwaukee 2606-22 Cordless Drill is also very light in weight. The tool only weighs about 9.4 pounds total, making it extremely easy to work with regardless of experience. You’ll be able to work quickly thanks to this manageable weight and should be able to greatly increase your productivity. See more information on Milwaukee 2606-22 Kit. The Milwaukee 2606-22 Cordless Drill is a powerful tool that can be used quickly and effectively with no hassle. It is easy to use regardless of how much experience you have in working with power tools. The Milwaukee 2606-22 Cordless Drill is very light in weight, coming in at only 9.4 pounds. You’ll be able to work at a fast pace and should be able to easily increase your work productivity. The Milwaukee 2606-20 Cordless Drill is able to produce an impressive amount of power and can generate up to 500 horsepower. If you need a tool that is easy to use and dependable to work with, the Ryobi P1811 18V Cordless Drill is a great investment to make. The device comes with several key features that make it easy to use and handle regardless of your experience with power tools. You’ll be able to work on a wide variety of projects with this versatile tool. The Ryobi P1811 18V Cordless Drill makes it easy to change out your bits in the middle of work. The device comes with a ½ inch keyless chuck that allows you to change out your bits in a matter of seconds. It also comes with a magnetic bit holder so you won’t have to waste time when it comes to changing out your bits. Additionally, the device is able to keep your bits tight and in control thanks to the 24 position clutch that comes with the tool. This will keep you drilling your pilot holes at the perfect depth and prevent you from stripping your screws. Perhaps most impressively, the Ryobi P1811 18V Cordless Drill is compatible with every type of battery that Ryobi has to offer. This means you can use the batteries from your other tools to power your device if necessary. See more information on Ryobi P1811 18V. The Ryobi P1811 18V Cordless Drill is a powerful tool that comes in handy with a wide variety of applications. The device is great for taking on a multitude of different jobs ranging anywhere from home repairs to contract work. You’ll be able to use the Ryobi P1811 18V with any battery manufactured by Ryobi thanks to the compatible system that comes with the design. It’s a great product that would serve any contractor well. We highly recommend it. When you invest in a cordless tool, you’ll want to make sure that you’re getting the absolute top deal for your money. You’ll want your investment to last for years to come and be able to keep up with the high work demands you’ll be making of it. Many people don’t realize it when they buy their power tools, but the batteries that power a device are just as important as the design of the device itself. The batteries are the heartbeat of your tools. They control the source of your power, which means they also control the quality of work you are able to provide. If you don’t have a battery that can power your motor to full power output potential, you’ve wasted your investment. When it comes to most electric tools, you’ll be looking at three different types of batteries. There are batteries with nickel cadmium cores, nickel metal hydride cores, and lithium ion cores. Historically, many manufacturers began by using nickel cadmium to power their tools. However, with the options available on the market today this is no longer advisable. Cadmium is a toxic material that could cause harm if improperly handled. It is extremely hazardous and can be flammable if disposed of or handled incorrectly. In addition to this, cadmium batteries lose their charge very quickly. If a nickel-cadmium battery is take off a charger, it will lose up to 30 percent of its charge within the first 48 hours. After this, the battery will continue to lose an additional 1 percent of its charge each day. When it no longer has a charge, it runs the risk of falling into a hibernation state. This hibernation state will render the battery useless – you’ll never be able to use it to power your devices again. The better option would be a nickel metal hydride or lithium ion battery. These batteries are made from safe materials and are also much more reliable. You’ll be able to keep them stored off of a charger for months at a time without having to worry about them going into hibernation mode so long as you take the necessary precautions. These batteries also tend to have longer lasting lifespans and run times. Some of them can run for as long as 12 to 24 hours. Others only provide a few hours of power at a time. However, batteries with shorter run times usually make up for it by faster charge times. However, if these shorter life batteries aren’t able to reach fast charge times, you can still stay on top of your workload by investing in an extra battery. Many people are confused over the debate between which battery is able to operate better – the 18v or the 20v. To most people, it would appear to be obvious that the 20 volt drills would be superior thanks to their high voltage rating. However, many people would be surprised to learn that there is virtually no difference between the two. How can this be? The difference lies in marketing strategy. The battery cell still remains the same (5 different cells) but the voltage rating differs. Each lithium ion battery cell comes with a nominal voltage rating of 3.6 volts. The nominal voltage is the average power output performance of the cell. Each lithium ion battery cell also comes with a maximum voltage rating of 4 volts. The maximum rating is the highest power output performance that the battery cell can perform at. What does that really mean? If you take 3.6 volts and multiply this by 5 cells, you would get a voltage rating of 18. If you take 4 volts and multiply by 5 cells, you would get a voltage rating of 20. This means that 18 volt batteries and 20 volt batteries are the same – the only difference is the price tag. When it comes to finding the ideal tool, quality makes a big difference. You’ll want to make sure that you’re getting plenty of use out of your investment. To ensure the best possible work experience, many contractors turn to the most reliable company to supply them with their working tools. Even if you have to invest in budget price tools, having a trusted and reliable brand will make a big difference. You’ll be able to invest in a brand that you can rely on to deliver consistently high quality results. 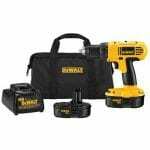 When it comes to high quality and dependable tools, no one can make better quality tools than DeWalt drills. Their brand excels when it comes to creating resilient and reliable tools that are capable of keeping up with a high demand work pace. When you invest in DeWalt, you invest in your future. If you only need a simple 18v electric drill to rely on when it comes to getting work done around the house and can’t afford a DeWalt drill, a great alternative option is Genesis. This company is able to provide high quality 18v cordless drills at an affordable price, making them a great option for anyone who needs a sturdy and reliable drill to use around the house. When looking for the ideal drill to use for your home, one of the greatest things you can do is to take all of the significant aspects and features into consideration before you make your decision. Many homeowners, DIYers, and contractors don’t think past finding an 18v cordless drill to invest in. However, there are many more aspects that need to be taken into consideration in order to make sure that you’re making the right investment. Of all the things you should consider before investing in a new 18v cordless drill, the weight is one of the most important. You want to make sure that the tool you’re working with is compact and of a weight that is easy to work with for an extended period of time. If you’re accustomed to working with heavier tools for a prolonged period of time you might not mind working with heavier models if it means you’ll be able to save a bit of money. You might also be able to use a heavier model if you only use the drill for short tasks around the house or don’t use a drill often in your profession. However, if you’re new to the construction industry or tend to work long hours consistently, you’ll want to invest in a drill that isn’t too difficult to hold up throughout the workday. Another important feature to take into consideration before you make a decision is the type of 18v electric drill you’ll need. You’ll need to figure out what kind of drill you’ll need to complete work efficiently. There are several different types of drills that are commonly found on the market. 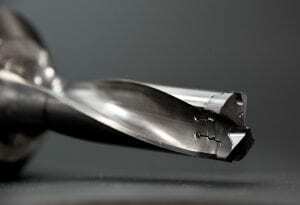 The first drill type that can be commonly found is a standard drill. These drills are typically used for light work around the house or small ‘do it yourself’ type projects that don’t require you to work with dense materials. The next drill that you’ll see fairly commonly is the hammer drill. These models are able to use all of the standard bits and are also able to work with the majority of materials you’ll encounter. Hammer drills can drill through stone, metal, and wood without issue. If you need a drill that will work well for framing and similar labor, an 18v cordless hammer drill might be the perfect fit for you. If you need an 18v electric drill that can handle heavy duty applications, you’ll want to invest in an SDS model. These devices are made for drilling into every type of material you could possibly come across. Thanks to the chiseling mechanism, you’ll be able to drill into sturdy materials (click for study) like concrete, asphalt, stone, and masonry. Additionally, SDS devices can be given attachments that allow them to drill into wood, metal, and plastic as well. It is recommended to use a level for added accuracy. One feature that many people forget to look into is the battery capacity of the device they’re investing in and the number of batteries that come with it. This is an important part of investing into an 18v cordless drill that many people forget to look into. The first thing that you’ll want to check for is the type of batteries that come with the drill. There are three standard models. They are nickel cadmium batteries, nickel metal hydride batteries, and lithium-ion batteries. Even though they can all be used to power 18v cordless drills, they are not made equally. Nickel-cadmium batteries have a toxic core that could be hazardous or flammable if handled improperly. They are also inferior when it comes to holding a charge. If left off of a charger, a nickel cadmium battery will lose up to 30 percent of its charge within the first 48 hours. After that, it will continue to lose an additional 1 percent of its charge until the battery is drained. If it reaches this point without being recharged, it runs the risk of going into hibernation mode. Hibernation mode will permanently ruin the battery. You’ll never be able to use it to power your devices again and will have to purchase new batteries. Nickel metal hydride batteries and lithium-ion batteries work differently. They aren’t toxic, hold a charge fairly well, and aren’t as difficult to work with. They are much better when it comes to overall quality and will make your investment last longer. The next thing you’ll want to do is check the battery capacity of your lithium ion battery or nickel metal hydride battery. Many of these batteries are able to last anywhere from 12 to 24 hours. However, there are a few models that only hold a few hours of power at a time. If you want to invest in a kit that has short runtime batteries, you’ll need to check a few things first. The main thing you should look at is the type of charger that comes with the battery. If it is able to recharge your battery quickly, you won’t need to invest in another battery. However, if you invest in a charger that claims to recharge quickly (anywhere from 15 to 30 minutes) you’ll need to make sure that it comes with either overheating protection technology or circuit overload protection technology. When a battery recharges quickly, it releases an excess of energy that generates heat. If your battery becomes too hot while recharging, it could become damaged or even ruined. However, overheating protection technology and circuit overload protection technology can prevent this. If you want to invest in a fast charging charger, you’ll need to make sure it has one of these safety features. If the kit doesn’t come with a faster battery recharger and only offers a few hours of power at a time, you’ll need to make sure that it has an additional battery. This will allow you to make sure that your tools are always able to operate. Once one battery dies, you’ll be able to put it on the charger while you continue to work with the other battery. As long as you keep this cycle going, you’ll have nothing to worry about. If the kit doesn’t come with a faster battery charger or an additional battery, you’ll need to buy a battery yourself. This will ensure that you’ll always be able to have power. You might be able to get away with not investing in another battery if you only do light work around your house, but anything more than that will require you to invest in at least one backup battery. Last but not least, it’s important to factor speed into the equation when you’re looking for the finest 18v cordless drill. Though torque is often prioritized over speed, it takes a good balance of both of these features to make the ultimate drill. You’ll need to take special consideration when it comes to this. If you’re a contractor, you’ll need the highest speed you can find to ensure that you always have enough power to work with. However, if you only need the tool for work around the house, you don’t need to be as picky about what type of speed the tool can reach. The DEWALT DC970K-2 Drill is one of the finest designed tools on the market and makes our list for the top pick 18v electric drill of 2019. You’ll be able to get an impressive amount of work done thanks to the clever design. Additionally, you’ll be able to limit your fatigue thanks to the ergonomic design and light weight The DEWALT DC970K-2 Cordless Drill is a premium quality tool that can generate an impressive amount of speed and power. The device comes with a dual speed range and variable speed control that allows you to work with a variety of different speeds. The powerful motor can generate speeds from 0 to 450 rounds per minute and 0 to 1,500 rounds per minute. This will give you more than enough momentum to work with. Additionally, the device boasts a power output of up to 380 unit watts out. Although the DEWALT DC970K-2 Cordless Drill is powerful, it is also fairly light in weight and compact. The entire tool only weighs about 4.7 pounds and is easy to work with in tight and confined places. You’ll be able to get more work done with these tools than other comparable models. Plus, the DEWALT DC970K-2 Cordless Drill comes with two 18v batteries to ensure that you always have enough power to work with. With so many great features, it’s easy to see why the DEWALT DC970K-2 Drill makes our list as the top pick tool of 2019. It has one of the greatest designs and is easily handled by anyone regardless of experience. When it comes to good investments, you’d be hard pressed to find a better one. When it comes to quality, the Makita XPH102 Cordless Drill makes our list as the premium choice 18v drill buy of 2019. This tool is built exceptionally well and boasts some impressive power and features. You’ll be able to take advantage of a wide variety of applications. The Makita XPH102 Cordless has mechanisms that allow it to drill, drive, and hammer in your fasteners without issue. This combined with the considerable power from the 4 pole motor will set you up for success in any contract you take on. The Makita XPH102 Cordless Drill is ideal for heavy application work thanks to its high power output. The device boasts speeds of up to 1,900 rounds per minute and 28,500 blows per minute. Additionally, it can generate up to 480 inch/lbs of maximum torque. Perhaps most impressively, the Makita XPH102 Cordless Drill manages to include all of these features while still only weighing 3.9 pounds. The device is compact and ergonomic, making it one of the top investments for anyone who works long hours. If you’re looking for a tool that you can use for around the house repairs, the Genesis GCD18BK Cordless Drill is a great investment. This 18v cordless drill is one of the top value deals you can hope to find. It gives you plenty of power to work with at a reasonable price. You’ll always be able to ensure that you can make the necessary repairs around your house without having to go over your budget. Additionally, the Genesis GCD18BK Drill is easy to use. The device comes with a ⅜ inch keyless chuck that allows you to change out your bits without difficulty. It also comes with a 13 piece bit starter set so you’ll be able to start working as soon as your Genesis GCD18BK Cordless Drill kit arrives. The kit also includes a magnetic bit tray so you can easily store and hold your bits while working on a project. For the ultimate guide on cordless drills – see the DDL Wiki. The Genesis GCD18BK Drill kit provides high quality performance at a value price, making it one of the greatest investments for those who need a power tool for work around the house but don’t have the budget for a professional device. We hope you enjoyed our article on "The 10 Best 18v Cordless Drills on The Market", if so, please share and rate it.